The Global Development Institute and the Post Crash Economics Society is pleased to host Prof Bina Agarwal part of the GDI Lecture Series, talking about: Agrarian crisis and institutional innovation: Can group farming provide an answer? In efforts by developing countries to address agrarian distress arising from persisting rural poverty, unviable land holdings, and climate change, little attention has been paid to the institutional transformation of agriculture. The debate on farm types has focused mainly on small family farms vs. large commercial farms. Here experiments in two Indian states—Kerala and Telangana—stand out for their innovative institutional form, namely group farming by women (involving pooling land, labour and capital and cultivating jointly). Can this provide an alternative model? Based on her primary surveys, Prof. Bina Agarwal provides some answers, comparing the economic outcomes of group and individual family farms, as well as outlining the impact on social and political empowerment. In this episode, Diana Mitlin talks to former Egyptian Minister Laila Iskander about her career, recycling and informal settlements in Egypt.Laila Iskander served as Minister for the Environment and Minister for Urban Renewal and Informal Settlements in Egypt. She has worked as a researcher, speaker and consultant with governmental and international agencies as well as with the private sector in the fields of gender, education and development, environment, child labour and governance. Her consultation work encompasses grassroots' issues and policy matters. She received the Goldman Environmental Prize, also known as the 'Green Nobel', for her work with the Zabbaleen garbage collectors of Cairo.Diana Mitlin is Professor of Global Urbanism and Managing Director of the Global Development Institute. The Global Development Institute and the Post Crash Economics Society is pleased to host Prof Bina Agarwal part of the GDI Lecture Series, talking about: Agrarian crisis and institutional innovation: Can group farming provide an answer?In efforts by developing countries to address agrarian distress arising from persisting rural poverty, unviable land holdings, and climate change, little attention has been paid to the institutional transformation of agriculture. The debate on farm types has focused mainly on small family farms vs. large commercial farms. Here experiments in two Indian states—Kerala and Telangana—stand out for their innovative institutional form, namely group farming by women (involving pooling land, labour and capital and cultivating jointly). Can this provide an alternative model?Based on her primary surveys, Prof. Bina Agarwal provides some answers, comparing the economic outcomes of group and individual family farms, as well as outlining the impact on social and political empowerment. The Global Development Institute is pleased to present Prof Franklin Obeng-Odoom, University of Helsinki, talking about: Property, institutions, and social stratification in AfricaWhile it is intrinsically important to explain and, ultimately, try to address social stratification in Africa, these aspirations have not yet been satisfactorily executed. Human capital explanations can be enticing, especially when they appear to explain the meteoric rise of the Asian Tigers in terms of their so-called cultures of hard work. Attempting to explain Africa’s unequal position in the world system this way is common, as is conceptualising the problem in terms of the absence of physical capital and the presence, or dominance, of natural resources. In turn, it is quite usual to posit the need to reduce the transaction costs of transnational corporations, which presumably work to resolve the challenges of development in Africa. In practice, however, neither African culture, poor human capital, inadequate physical capital, nor the natural resource curse explains Africa’s underdevelopment. None of these can sufficiently explain the startling economic inequalities in Africa between various social groups, nor those between Africa and the rest of the world. In this regard, the idea that certain cultures of land either hinder, or would enable ‘Africa’s catch up’, are also mistaken. Although the reverse case – that African cultures are pristine – is sometimes used to counter this central thesis, it is similarly unconvincing. The spectre of Manicheanism, that is, expressing the African condition according to a dichotomy of either cultural pessimism or cultural triumphalism, is limiting.Franklin Obeng-Odoom is with Development Studies at the University of Helsinki, where he is Associate Professor of Sustainability Science. He is also a Member of the Helsinki Institute of Sustainability Science, where he leads the Social Sustainability of Urban Transformations in the Global South theme. Previously, he taught at various universities in Australia, including the University of Technology Sydney where he was Director of Higher Degree Research Programmes. The Global Development Institute is pleased to present Prof Kate Brickell, Royal Holloway, University of London, talking about: Blood Bricks: Untold Stories of Modern Slavery and Climate Change from CambodiaCambodia is in the midst of a construction boom. The building of office blocks, factories, condominiums, housing estates, hotels, and shopping malls is pushing its capital city upwards. But this vertical drive into the skies, and the country’s status as one of Asia’s fastest growing economies, hides a darker side to Phnom Penh’s ascent. Building projects demand bricks in large quantities and there is a profitable domestic brick production industry using multi-generational workforces of debt-bonded adults and children to supply them.Moving from the city, to the brick kiln, and finally back to the rural villages once called home, the talk traces how urban ‘development’ is built on unsustainable levels of debt taken on by rural families struggling to farm in one of the most climate vulnerable countries in the world. Phnom Penh is being built not only on the foundation of blood bricks, but also climate change as a key driver of debt and entry into modern slavery in brick kilns. Blood bricks embody the converging traumas of modern slavery and climate change in our urban age.The study was co-funded by the Economic and Social Research Council & Department for International Development. For more information see www.projectbloodbricks.org. 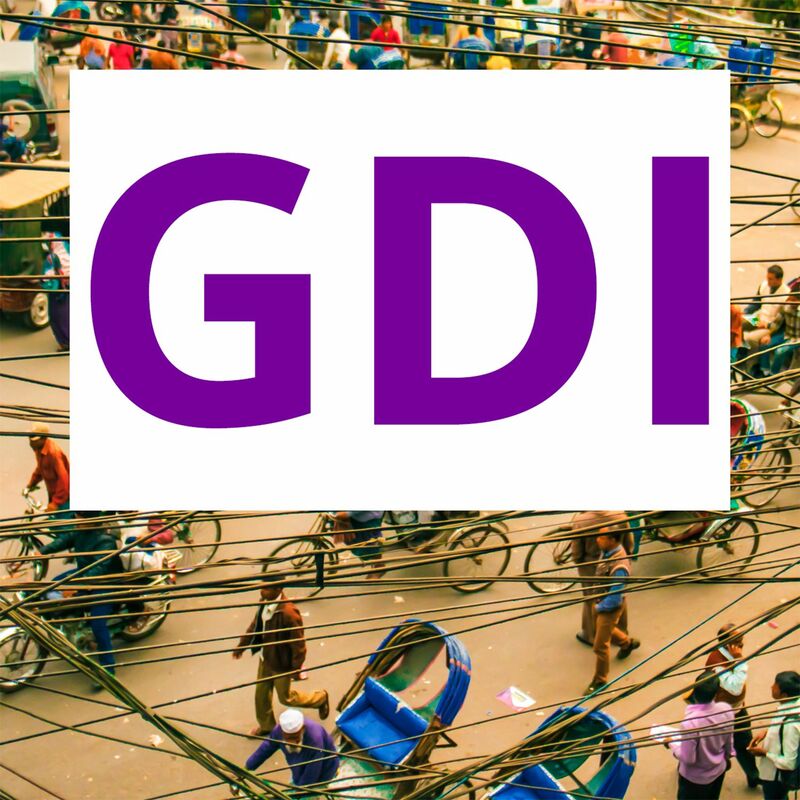 In this episode Chris Jordan, GDI’s Communications & impact Manager, talks to social assistance expert Professor Armando Barrientos. They discuss why Armando decided to specialise in social assistance and how it has changed over the last 20 years. Professor Barrientos also explains his new social assistance explorer which is the first database to bring together data on low and middle income countries and allow researchers to study and compare programmes at a cross-national, regional and global basis. Finally Armando looks forward to how he thinks social assistance will develop over the next 5 to 10 years. Listen to our lecture from Professor Stephan Haggard who discussed development states.The concept of the developmental state emerged to explain the rapid growth of East Asia in the postwar period. Yet the developmental state literature also offered a heterodox theoretical approach to growth. Arguing for the distinctive features of developmental states, its proponents emphasised the role of government intervention and industrial policy as well as the significance of strong states and particular social coalitions. Comparative analysis explored the East Asian developmental states to countries that were decidedly not developmentalist, thus contributing to our historical understanding of long-run growth. Prof. Haggard provides a critical but sympathetic overview of this literature and ends with a look forward at the possibilities for developmentalist approaches, in both the advanced industrial states and developing world. Moira V. Faul, Université de Genève, Switzerland and Jordan Tchilingirian, University of Bath, talk about 'What social network analysis can tell us about multi-stakeholder partnerships'The recent expansion from multilateral cooperation among relatively homogeneous actors (states) to multistakeholder arrangements prioritises the inclusion of non-state actors in global governance. Thus, a multiplicity of heterogeneous stakeholders are mobilised into new, multi-stakeholder, ‘spaces’ between their home fields. Yet this central feature of the multi-stakeholder phenomenon is mainly overlooked and under-theorised. This article extends the current multi-stakeholder governance literature by theorising multi-stakeholder global governance as a space between fields. Theorising multi stakeholder governance as a space between fields draws attention to the co-existing dynamics that pull stakeholders back towards their home fields (dissociative) and also towards the space between fields (integrative). We approach theory building with three preliminary hypotheses drawing on literatures in the multi-stakeholder global governance of climate, education and health. The hypotheses consider dissociative dynamics (focused on the interaction of multi-stakeholder arrangements with stakeholders’ home fields); integrative dynamics (focused on the ways in which multi-stakeholder interactions affect global governance); and how these may affect the construction of the objects of global governance (sustainable development in this instance). Our theorisation of multi-stakeholder global governance as a ‘space between fields’ explains multi stakeholder governance as an essentially inter-field, inter-discursive and inter-personal phenomenon, which holds consequences for both global governance and sustainable development. Rt. Hon Helen Clark, former Administrator of UNDP and former Prime Minister of New Zealand presents the Global Development Institute Annual Lecture. Helen Clark addresses the issues of women's leadership and gender equality and their importance to a sustainable world.Helen Clark has been a political leader for more than 40 years; she held the post of first elected female Prime Minister of New Zealand for nine years and was the first female Administrator of the United Nations Development Programme. A key focus of her career has been the empowerment of women and leadership at all levels. According to the World Bank, 155 countries have at least one law that discriminates against women. Given the extent of unpaid work and care burdens, violence against women and gender pay gaps, Clark says women’s leadership is urgently needed to create a more equal world. She will draw on her own experiences in senior leadership but also her observations of women being leaders at all levels around the world and how this can create a more sustainable and just future. As part of her visit to the Global Development Institute Rt Hon Helen Clark sat down with Prof Uma Kothari to discuss her career, the UN, Hillary Clinton and intersectionality. Helen Clark was Prime Minister of New Zealand from 1999 to 2008, and was the Administrator of the United Nations Development Programme from 2009 to 2017. Professor Lord Nicholas Stern, LSE and Professor Himanshu, Jawaharlal Nehru UniversityDevelopment economics is about understanding how and why lives change. Drawing on seven decades of detailed data collection How Lives Change: Palanpur, India, and Development Economics studies a single village in a crucially important country to illuminate the drivers of these changes, why some people do better or worse than others, and what influences mobility and inequality.Against a backdrop of real economic growth and structural transformation, this book shows that human development outcomes have shown only weak progress and remain stubbornly resistant to change. We have been taught to understand aid as a temporary injection of support for struggling countries. This is wrong. It should be seen as a permanent fixture, as part of continued investment in global public goods and internationally agreed objectives. This realisation will have major implications for how we raise and manage funds, and how we communicate to different audiences. Dr Yuen Yuen Ang, Associate Professor of Political Science at the University of Michigan delivers the Adrian Leftwich Memorial Lecture. For decades, Western policymakers and observers assumed that as China’s economy prospers, it will eventually and inescapably democratize. Today, however, the West is alarmed that not only does China appear more authoritarian than before, the new leadership is perceived to harbor ambitions to compete with Western powers for world dominance. This turn of events has triggered fear around the world. Today, the so-called “China model” is seen as a fundamental threat to liberal-democratic values.How did the West get China wrong? Yuen Yuen Ang argues that many observers have misunderstood the political foundation underlying China’s rise. Her research reveals that since market opening, China has in fact pursued significant political reforms, just not in the manner that Western observers expected. Instead of introducing multiparty elections, the reformist leadership realized some of the key benefits of democratization through bureaucratic reforms, thereby creating a unique political hybrid: autocracy with democratic characteristics. In other words, it is not autocracy but rather the injection of democratic, adaptive qualities into a single-party regime that drives China’s economic dynamism. But, Ang cautions, bureaucratic reforms cannot substitute for political reforms forever. Going forward, China must release and channel the immense creative potential of civil society, which would necessitate greater freedom of expression, more public participation, and less state intervention. The Global Development Institute Lecture Series is pleased to present Dr Emma Mawdsley, Reader in Human Geography and Fellow of Newnham College to discuss "The Southernisation of Development? Who has 'socialised' who in the new millennium? "A more polycentric global development landscape has emerged over the past decade or so, rupturing the formerly dominant North-South axis of power and knowledge. This can be traced through more diversified development norms, institutions, imaginaries and actors. This paper looks at one trend within this turbulent field: namely, the ways in which ‘Northern’ donors appear to be increasingly adopting some of the narratives and practices associated with ‘Southern’ development partners. This direction of travel stands in sharp contrast to expectations in the early new millennium that the (so-called) ‘traditional’ donors would ‘socialise’ the ‘rising powers’ to become ‘responsible donors’. After outlining important caveats about using such cardinal terms, the paper explores three aspects of this ‘North’ to ‘South’ movement. These are (a) the stronger and more explicit claim to ‘win-win’ development ethics and outcomes; (b) the (re)turn from ‘poverty reduction’ to ‘economic growth’ growth as the central analytic of development; and related to both, the explicit and deepening blurring and blending of development finances and agendas with trade and investment. Contrary to what is commonly believed, authoritarian leaders who agree to hold elections are generally able to remain in power longer than autocrats who refuse to allow the populace to vote.Calling upon first-hand experiences, hundreds of interviews and election reports from Kenya, India, Nigeria, Russia, the United States, Zimbabwe and more, Professor Cheeseman discusses the limitations of national elections as a means of promoting democratisation, revealing the six essential strategies that dictators use to undermine the electoral process in an attempt to guarantee victory. How to Rig an Election has been described as “essential reading for everyone who wants to get democracy right again” by A.C. Grayling, “clear, punchy and potentially revolutionary” by Michela Wrong and the “one of the books of the year” by the Centre for Global Development. 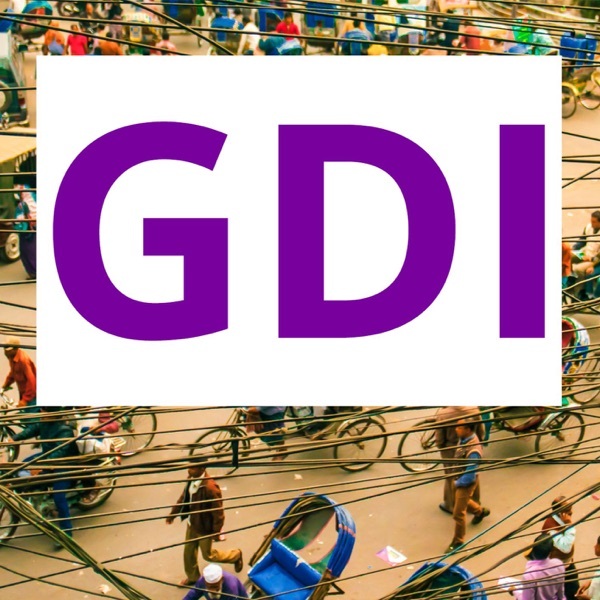 The Global Development Institute is pleased to present Dr Indrajit Roy, Department of Politics, the University of York to discuss "Dignifying development: Democratic deepening in an Indian State. "The lecture draws on Indrajit’s prior work on poor people’s negotiations with democratic institutions and public policy as well as their ideas about citizenship and membership in its political community. It also signals his future research plans of investigating the intersections of democracy and development in the Rising Powers and other emerging markets. As the 73rd session of the UN General Assembly convenes to review the world's three year progress against the Sustainable Development Goals, Jennifer O'Brien, Director of Social Responsibility for the School of Environment, Education and Development talks to Prof David Hulme, Executive Director of GDI. To celebrate the end of the academic year we brought together leading academics from the Global Development Institute in a lively session. Fielding questions from the class of 17-18 our academics answer questions on the reality of development theory vs practice, the future of disruptive tech and ICT4D, and the concept of inequality.The session was compared by Dr Pablo Yanguas and features Prof Diana Mitlin, Prof David Hulme, Prof Richard Heeks, Prof Khalid Nadvi and Dr Helen Underhill. This week BBC Hardtalk’s Stephen Sackur interviews leading Russian economist Sergei Guriev, for the latest in the Rising Powers and Interdependent Futures podcast series.They talk about the problem that Russian economy is facing with corruption and the need for deep structural reform, alongside the potential Russia has given its educated citizens and natural resources.